I’ve just finished weaving in the ends of my latest commissioned blanket. 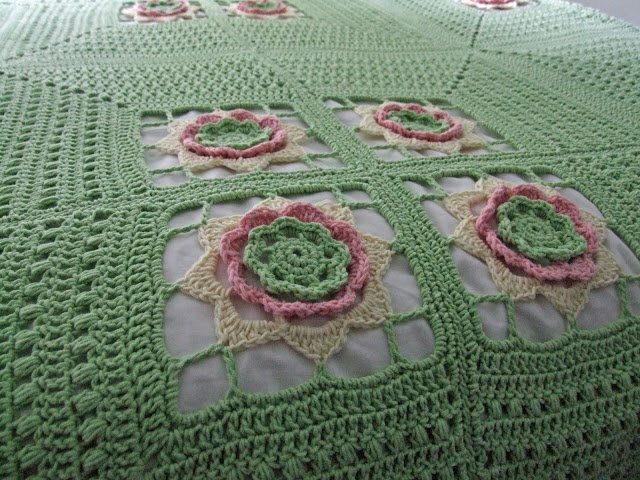 The pattern is my Irish Rose Afghan pattern. I made an extra 12 squares so that the blanket will cover a double sized bed. The yarn used is Sirdar Calico which I hadn’t used before but really like now. It’s turned out absolutely gorgeous and I don’t want to post it away! Irish Rose Afghan crochet pattern is a PDF download available in either US or UK crochet terminology. This is gorgeous! I love the colours. They have a fresh, spring look. 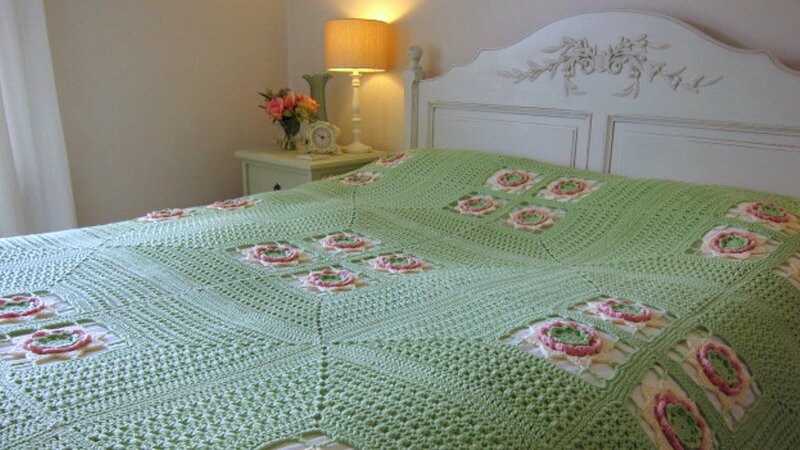 Lovely for a summer throw.